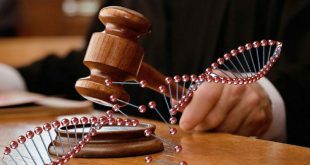 KUWAIT CITY, Nov 9, (KUNA): DNA testing will only be applied on convicted felons and no one else, said His Highness the Amir Sheikh Sabah Al- Ahmad Al-Jaber Al-Sabah to a news daily on Wednesday. 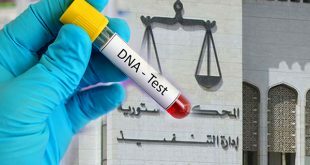 In an address to Al-Jaridah newspaper, His Highness the Amir Sheikh Sabah said that the discussions on the issue of DNA testing, also known as DNA fingerprinting, were done, stressing that no tests will be applied on normal citizens. Regarding the donors conference to support education in Somalia, His Highness the Amir affirmed that Kuwait was interested in supporting the cause which will hopefully bring enlightenment and peace to the fellow Arab nation. On a different subject, His Highness the Amir Sheikh Sabah discussed the recent opening of the Sheikh Jaber Al-Sabah Cultural Center, saying that the facility was a gift to the Kuwaiti people aimed at entertaining and educating the masses on the values of culture and arts.